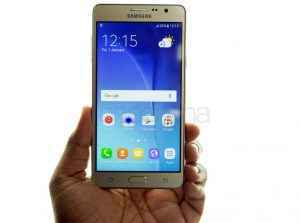 Samsung has launched the new Galaxy On5 Pro and On7 Pro smartphones officially in India. Both the handsets are slightly upgraded variants of the standard On5 and On7 that were launched last year. The new models retain the same design and internal specs save for the memory, which receives a well-deserved boost. Both the smartphones runs on Android 6.0 Marshmallow with Samsung’s own TouchWiz UX overlaid that comes pre-installed on both the On5 Pro and the On7 Pro. Interestingly, the two phones come with features tailor-made for the Indian market, such as S Bike and an Ultra Data Saving Mode. Both phones are available for purchase exclusively from Amazon in India. The smaller Galaxy On5 Pro is priced at INR 9,190 or $137 while the Galaxy On7 Pro is priced at INR 11,190 or $167. The Galaxy On5 features a 5-inch TFC LCD display with 1280 * 720 pixels resolution. The device is powered by an Exynos 3475, an entry-level chipset that features a 1.3 GHz quad-core ARM Cortex-A7 CPU and a Mali-T720 GPU. 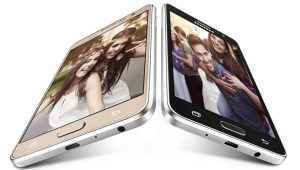 Other Galaxy On5 specs include dual-SIM capabilities, 4G LTE, and a 2,600 mAh battery. The only difference between the the older and newer variants is a boost from 1.5 GB RAM and 8 GB of expandable storage on the On5 to 2 GB of RAM and 16 GB of storage on the On5 Pro. The device also features 8 mega-pixel rear camera and 5 mega-pixel selfie camera. The On7 Pro comes with a 5.5-inch LCD display with resolution of 1280 * 720 pixels. The device is powered by Qualcomm Snapdragon 410 chipset, an entry-level chipset that has become the norm for affordable smartphones, especially ones from Western markets. The Snapdragon 410 integrates a 1.2 GHz quad-core ARM Cortex-A53 CPU and an Adreno 306 GPU. 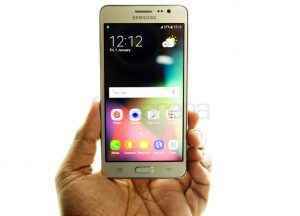 Just like Galaxy On5 Pro, the new Galaxy On7 Pro model only boosts the memory to 2 GB RAM and 16 GB internal storage. The Galaxy On7 Pro features a 13 mega-pixel rear camera and a 5 mega-pixel front camera for selfies and video conferences. Other specs include a pair of LTE-enabled SIM slots, a 3,000 mAh battery.